Oh man look at that! That’s classic BBQ brisket for you. For the longest time I didn’t really bother with smoking brisket. Mostly because I knew it was one the hardest meats to cook. Either you nail it, or it turns out to be like roast beef. 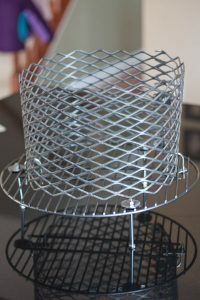 Well, I was reading up on hanging a brisket on the Pit Barrel Cooker and I wanted to give it a try because it looked simple. I love cooking on the Pit Barrel Cooker. It seems to make things much easier and tastier compared to using other smokers. Also, the idea of hanging a 13 pound brisket on hooks is just down right awesome. There a lot of people who are hellbent on smoking a brisket at 220 degrees, not a degree higher, for 15-25 hours. That’s a lot of work and that’s not what this post is about. This is a mindless brisket recipe. Buy the big packer brisket, pour some rub on top, triple hang it on the Pit Barrel Cooker until the internal temperature of the thickest part is over 160 degrees (less than 180) and has a nice color bark. Then you take it inside, pour some beef broth on top, tightly foil, assemble the grate and lay the foiled brisket on the Pit Barrel Cooker until the internal temperature is 200-205. Let it rest and you’re done. The beauty of all this is that from start to the end of rest is about 8-9 hours. That’s not bad! Rub that packer brisket. I used the Pit Barrel Cooker beef and game rub. Since you are hanging 13 or so pounds of meat I think its smart to do the triple hook method. It’s probably overkill, but having 3 hooks in there reduces the stress on the meat quite a bit. Put one hook up top in the point to hang on the bar, then have two other hooks placed lower in the flat part of the brisket that hook into the bottom part of the hook directly above it. The Pit Barrel Cooker guys have this nice video that shows how to add the hooks to the beef brisket. This picture above is at time 0 on the smoker. This photo is 3 hours into the smoke. I added some cherry wood chunks into the mix to start, so the smell of smoke was pretty strong at this point. This picture is 4 hours into the cook. The bark is slowly but surely developing into a nice deep color. This was about 5 hours into the cook. At this time it was over 160 degrees internal temperature but the bark wasn’t dark enough for me. I let it go for another hour or so. Here we go. After 6 hours it was about 170 degrees and nicely dark. I used three sheets of heavy duty aluminum foil, poured half a can of beef broth over the top and sealed it up. I added the grate to the Pit Barrel Cooker and laid the brisket flat in the center. I put a Thermoworks Therma-Q thermometer into the thickest part of the point and set the alarm to go off at 200 degrees. After 2 hours of foiled smoking the beef brisket was at 200 degrees. I removed the foiled brisket and let it rest at room temperature for an hour and then sliced it up. I cup apart the point and the flat, sliced the flat in to amazing slices, and cubed the point to make burnt ends. This was incredible. The overall process was rather easy. I didn’t do any mopping or any smoker temperature monitoring. The Pit Barrel Cooker just chugged along and finished the job while I did other things. As I mention, I love this little smoker. I review it on this article about smoking spare ribs on the Pit Barrel Cooker. Look at that smoke ring! Look at that bark! Oh man this was tender. Note: I used my iPhone for all of these photos. I really wanted to get the fancy camera out but I was having so much fun hanging out poolside and enjoying some beverages that I couldn’t go get that camera out. I think these turned out ok, so I went with it! Previous PostThe Easiest Way To Make Pulled Pork! Did you use any binder,such as mustard, before the rub? What cooking temp. did you use, if not 220. The brisket looked great. So I’m doing my first briskets in the pit barrel this Thursday I’m a little nervous, I had my fulls briskets cut in half so I have 4, 8-9 pound briskets to smoke. I have a rub, I am ready. Just a little nervous. Any words of wisdom? Could you tell me what was the internal temp of the lit barrel whilst you cooked the brisket? 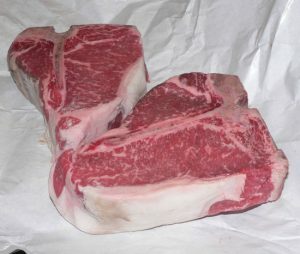 I’ve been using a 6lb beef (3kg) would you do the same with this as per above? On a Pit Barrel? That’s the key here. If you are laying it flat on a different smoker, the time will be wildly off. 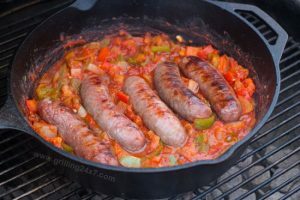 For this post, I think the internal temp was around 280-330. Can I please ask how much fuel you used and how often you added or changed it out? Thank you! With the PBC you just fill the charcoal basket. You dont need to add or change anything. I just pulled this off today for a family gathering and was declared a minor god of the smoke pit. 9 hours. Done. I used Big Bad Beef Rub*. Smokey, plastic-fork tender, light seasoning didn’t get in the way. John, thank you for revealing the way I will be doing brisket from now on. Love my Pit Barrel Cooker! Just got mine 3 days ago but haven’t had time to use it. Thanks for info.